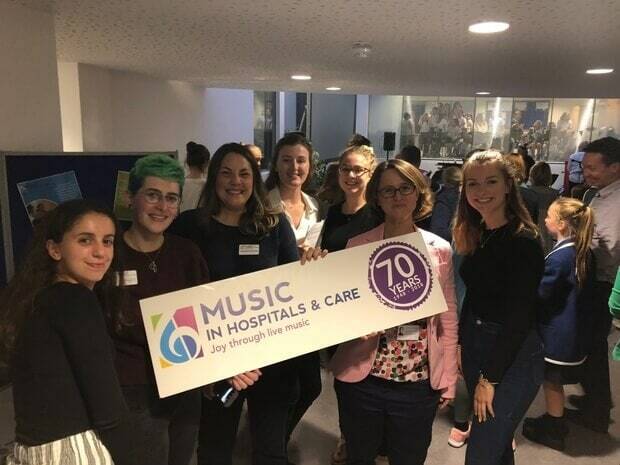 On the evening of 13th September, Tormead School launched a new single, Dare to Dream, into the music charts, with all proceeds raised from downloads going to Music in Hospitals & Care. We were thrilled to attend the Evening Extravaganza, which showcased the talent of the students at Tormead with a variety of performances and ended with a beautiful live performance of Dare to Dream and a countdown to the launch of the song into the music charts. It was a fantastic evening that raised an incredible £119.26 for Music in Hospitals & Care. A huge thank you to all the staff and students at Tormead school from the team here at MiHC!